« Is the cold weather coming? SPPI has put out an excellent collection of papers in response to NOAA’s State of the Climate Report. As usual, the official taxpayer-funded report is full of half-truths and strawmen. Arctic sea ice is shrinking (no mention of the Antarctic), the world is undeniably warming (yes, so? what’s causing that warming?). There’s the compulsory allusions to “consensus” — 300 scientists, blah blah blah (trust us! we’re experts). The interesting thing is that the seven different responses are all quite different, yet all skeptical, even though there was no coordination behind the scenes to create that. There are so many holes in the NOAA document, that seven commentators could fire ad lib, and for the most part, all find different targets. Has the temperature been constant ’til humans industrialized? Craig Idso noticed that NOAA actually said “people have spent thousands of years building society for one climate and now a new one is being created — one that’s warmer and more extreme”. So NOAA is rewriting history too. The Vikings were never forced out of Greenland due to the nasty cold spell called the Little Ice Age. Glaciers have never shrunk before, the sea has been constant for thousands of years, and the ice cores and boreholes around the world were “dead flat” at 15 degrees C for 5000 years? Don’t think so. Idso has collected hundreds of peer reviewed papers just on the topic of the Medival Warm Period, almost every one of which supports the idea that that o-so-recent period was warmer than now. The Propaganda, it would seem, is full-gloss-government-funded-glamour and not just packed with half-truths, it steps into the realm of outright lies. The report claims that each of the “more than 30 different climate indicators” it has analyzed “is placed into historical context.” But it’s not the historical context that’s backed by empirical evidence. Are sea-level rises accelerating? No sir. “Global temperatures as measured by our best and least biased means, satellites and the Argo network, have been flat to slightly down over the last decade. Consequently, the bandwagon built around the theory of man-made global warming is stalling. The 2009 State of the Climate report is an attempt by climate authorities to browbeat the public and politicians. “While people outside the climate establishment may not understand climate science, they do understand cheating. As the world becomes familiar with photographs of official thermometers near air conditioning outlets and in the backwash of jet airplanes, let alone the many tricks played by the climate science establishment, the public are becoming increasingly angry. “The 2009 State of the Climate report is just another authoritarian attempt to hoodwink the public, hiding behind complexity and apparent “expertise”. If the report was really trying to explain what was going on it would have been simple, direct, easy to understand, it would have included satellite temperatures and Argo results—and it would have admitted, as leading warmist Dr. Phil Jones, Director of the Climate Research Unit at the University of East Anglia in the UK, did recently on the BBC: “from 1995 to the present there has been no statistically-significant global warming”. The authors carefully ignored natural explanations for recent global warming. Is winter snow cover diminishing? “This is a blatantly false claim as can be seen using NOAA’s own data as compiled by Rutgers Snow Lab. Yet most historians will say that about 10 or 12 000 years ago the climate warmed enough for farming to begin in the fertile crescent leading to urban living. Up to then the climate was too cold. Also the Roman era was marked by warmer climate. Wine was grown in the UK but AGWs say that since vineyards are now viable in England it is a sign of global warming caused by Man. Interesting that Hannibal was able to guide a few hundred elephants over the Alps which supposedly were covered in thicker ice, glaciers and snow than now. As an aside I find it interesting that Gore once said the earth just 2 kilometres down was million of degrees; good for geothermal power. Yet the earth’s core is only about 7000′ F and the sun’s surface about the same. Only the core of the sun is in the millions. If facts like this come from the leaders of the AGW debate then what amount of integrity can be given to any of them? Near enough is not good enough and to be way way way off the mark is …cheee! I neglected my science education when i got sidetracked by music and the fine arts, but history I know something about. It was my knowledge of the medieval warm period and the little ice age that had me smell a rat when they claimed AGW; and it defintitely stinks to high heaven that they have to rewrite attested and witnessed history to foist their claim on people. If their doctrine were true why rewrite history? “people have spent thousands of years building society for one climate and now a new one is being created”. How can NOAA say such nonsense and expect people to believe it? People aren’t that stupid are they? Did Eskimos adapt their society to the climate of the tropics or polar regions? Did Amazonians adapt their ssociety to the climate of the tropics or polar regions? If only there were time to read all this. If only we could get politicians to read this. If only we could get politicians to read Andrew Montford’s The Hockey Stick Illusion. If only politicians had the interests of their electorate as their sole objective. Well, I guess that makes you over-qualified to be a Climate Scientist – music and an eye for perspective require an intuitive feel for mathematical principles. I, too, plumped for a Fine Arts education and a career in that field, but that does not mean I can’t understand scientific concepts. I also know when I am reading alarmist nonsense which attempts to deny the evidence that substantiates the MWP as a world-wide phenomenon. I get quite angry when I realise how much Western governments are spending on this nonsense. Alexander K, You and me both. But NOAA are not alone, they have company. The CSIRO with the conivance of BoM have also released a “State Of The Climate” brochure which iterates all the old chesnuts so familiar to the AGW con artists. More frequent and worse droughts, bleaching of the GBR, hotter summers and so it goes. More propaganda for leftist teachers to indoctrinate the children with. Funnily enough I found five temp records of more than 100 years in NSW all saying the 20th century had a slight cooling. BoM on the other hand keeps telling us that 2009 was the hottest year and 2010 is shaping to be worse. I wonder what will happen when a sceptic wins the lodge. Will the chief scientist review her advice? Will the CSIRO realise their $484million grant to study geosequestration is more likely going to be used to pay down debt? Will the local consensus fold as “scientists” struggle for a job in a reduced CSIRO? Interesting times ahead. A November win for US Republicans and another failure for the UN in Cancun. See. Even politics can be self correcting in a democracy, just like an earthly climate. A true global climate model would start from the formation of the planet until now. Climate is regional at best due to the shape of the planet and the interactions of many processes. Climate does not cross the equator and is separate! So they are clamoring for job security. They need less workers if the CO2 induced warming just isn’t proven. I read the report when it was released and could not find any substantiation of the claims being made on it’s behalf in the media. The press release that accompanied the report sent to media organisations must have been the only thing the reporters read. Why aren’t these things properly critiqued? It’s so basic! Amusing translation but worth reading. So can the students of history who have posted comment see any analogy with the current migration from science to dogma and the dark ages? A retired litigation attorney, I began studying agw in earnest when i realized the “evidence” the warmers submitted, if presented in a trial, would not survive cross-examination. In trials, I often saw logical inconsistency, glossing over or hiding “bad FACTS,” conclusions lacking support, arrogance disguised as expertise, and refusal to concede or even consider strong contrary evidence. It’s the same here. I just wish these climate “scientists” could be placed in a witness chair in a trial where they would testify under oath (with the attendant penalties for perjury) and be required to answer opposing counsel’s questions directly and completely. I believe none of the warmers, including Gore, would allow themselves to be put in this situation, especially the part about testifying under oath. I guess the information the Report provides us is more on matter of the subject then on the matter of the object. That means that don’t tell us much of the climate but the sentence is on the climate scare mongers: They are so empty they cannot innovate their horror stories that don’t work any more. The myth of AGW has captured the CRU, the Max Planck Institute, NOAA and several other supposedly scientific institutions around the world. I suppose that’s why none of the climategate scientists have sued anyone despite various books having been released that accuses them of all kinds of misconduct. The latest 30 year temp statistics have just been posted on BOM. The long-term max average for my town has just dropped from 26.8 to 26.7. Minimum av temp over the same period has remained the same at 13.2. So no warming here. Yet on the BOM’s ‘State of the Climate’ it shows an 0.1 warming for the mean. I suppose they take anomalies only from 1960 when it was cooler but it still doesn’t make sense. Like you, I wonder how many areas are like this? Pag 40 of the report, the color bar of the measured “missing” hot spot is not reported… can we let them know?? Richard @ 16. Thanks for the great link. Some interesting bits there about the CSIRO’s attitude in developments. So the Emporer is naked. What a surprise! Well, lets just be a little bit picky. Take sea levels. There is no significant increase in sea level over the past century. Now I’m confused. The graph seems to show a steady increase in sea level. No wait, I don’t think he meant that sea levels weren’t rising, I think he meant that the rate of rising is not increasing. But a quick look at the graph does seem to show an increased rate of rising sea levels. But I wouldn’t put money on it – its just that based on the data there, that seems the most likely conclusion. So anyway, I trust you will all correct my naive belief in this graph. The data behind the graph was probably fudged by greedy climate scientists (and I use the term “scientist” loosely here – have these people no shame?). Now I am confused. The graph seems to show a steady increase in sea level. You’ve obviously been stocking up on the heavy-duty niceness pills! On a completely different tack – do you have any experience with deep well scale inhibitors? I’ve got a little anhydrite problem at 180C in a heavy saline mud. Sorry for going off thread but I understand this might be your line of business and I need all the help I can get. Pass your email address to Jo and she will forward it to me. I will be more than happy to get my team on it for you. Hey I am only a dumb jaffa in the peanut gallery, but the sea level graph looks like ~130 years of the ~180 years the world has been coming out of the LIA @ ~ 1.5mm per year. What would be the grand average since the last ice age proper? you are quite right, and I’ve added a note to the post. I’ll email Dennis Ambler to let him know. Thanks! Note that that graph above misses the period from 1860-1880 when sea levels were rising quickly. The fact sea levels are rising offers no insight or support of the AGW hypothesis. Nobody can determine how much of increase is due to a combination of thermal expansion, plate movement, a natural response to a warming climate, or anthropogenic effects. What we do know as fact is that in each IPCC report the estimates have been reduced and the range is so extensive as to be useless in terms of arriving at any determination. In any event the rate of increase is so low adaption will not present a problem. The data behind the graph was probably fudged by greedy climate scientists (and I use the term “scientist” loosely here – have these people no shame?). John, its not the raw data or the scientists its the way “results” are interpreted and presented. Any publicly funded organization takes on a life of its own, it grows as its revenue grows and its senior administrators are focused on empire building. They will always present the best case for the continuation or expansion of their operations. I can think of no public sector group that has voluntarily opted for reduction. I think that any report that is produced by NOAA, GISS, CSIRO etc is influenced by the politics of the organization and this affects which data is used, which is ignored or downgraded and how the selected data is packaged and presented. Well you can bet your socks it won’t be 20 feet this century – or whatever it was that Al Gore claimed in his award-winning “documentary”. then there is the opportunity to interact with scantily clad nubile young women. Well and good, but will they want to interact with us? Or you, actually, because I am very seriously married. Obviously sea-levels are rising, and have been since 1860 or so. (about 20.000 y ago). Sealevel rise since then some 120 METERs. Now I’m confused. The graph seems to show a steady increase in sea level. No wait, I don’t think he meant that sea levels weren’t rising, I think he meant that the rate of rising is not increasing. But a quick look at the graph does seem to show an increased rate of rising sea levels. It appears (from your graph) that the rate increase was a step at about 1925-1930 The 1930′s are the decade with the most heat records in the US, so that fits. These records are based on raw data – you know, thermometer readings — before being “massaged” by NOAA, NASA, etc. There doesn’t seem to be any significant rate increase after that step, despite most Anthropogenic CO2 being released after that. For a real long-term perspective, try this page from Wikipedia. Explain to me again, how Mankind is causing disastrous sea level rise. Remember the IPCC poster child islands, tuvalu, kiribati, etc. are not sinking, and were never going to..
“A new geological study has shown that many low-lying Pacific islands are growing, not sinking. As I said, this has been ‘known’ for over a 150 years!!!! @ john Brooks, well if you want to compare the rise in sea level with your erection, 50 to 60 mm over 100 years please go ahead. And by the way, forget the islands of Tuvalu et al. When sea level rises enough they’re going to tip over. Say goodbye to Micronesia and the others! No less an expert than the august speaker of the U.S. House of Representatives, Nancy Pelosi has stated her deep concern about that and we all know that the elected elite know better than we do. WATCH THIS FANATICAL GREENIE MAKE A FOOL OF HIMSELF!! It scares me that someone this STUPID is a lawmaker. He’s not only a fool; he’s not articulate enough to ask a question coherently. How that officer avoided laughing I’ll never know. And now I’ll be called a racist because the man is black. Well I’m sorry but stupidity speaks for itself. 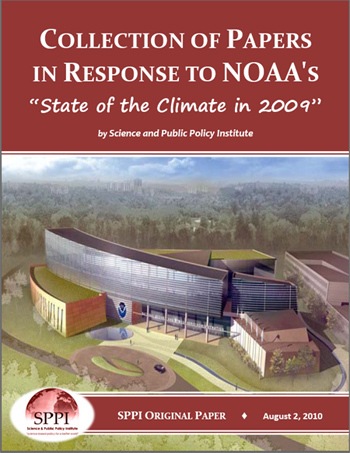 Rebuttal to NOAA’s “State of the Climate” sales brochure | Watts Up With That? I have noticed something else very odd about the NOAA report. This man will set us straight! I would imagine a competent journalist just might have noticed the small fact that Chapter 6 of the report is entitled “ANTARCTICA”. So I guess we have yet another Denialist writing comment about scholarly works she has not merely failed to understand, but not even bothered to read. NOAA have been playing silly buggers putting out two different reports, one of which tells lies about the other one and both of which they confuse with each other. It is a not insignificant exercise simply sourcing the pdfs for both of the reports and then working out which statements on their web site apply to which report. And indeed, one of these reports DOES NOT MENTION ANTARCTICA. I don’t know about you, but when I go to a web site about a report, get a link and read it, I think I am being reasonable in simply assuming I have read the report the web page is talking about, don’t you? An apology on your part to Jo is clearly deserved. Ron, I can’t make head or tail of your confused “information”. All you have to do is go to the NOAA website and get it first hand. It is absolute child’s play to click on the link and download the 218-page report. The full report and an online media packet with graphics is available online: http://www.ncdc.noaa.gov/bams-state-of-the-climate. And clicking that link gets you to the report. Notice that Chapter 6 is called “Antarctica”? What possible explanation could there be for a reviewer of this rerport to assert it has “no mention of the Antarctic”? It turns out there are actually two reports, and the NOAA web page only links to one of them. At the bottom of the page, below the bit I screen-captured in the graphic, there is a link to “The Report” – which is the one whose cover is shown on the web NOAA page, and which is also the one written by “more than 300 scientists from 160 research groups in 48 countries”. But that Report is not the Report that the NOAA website goes on to describe in detail! That is the link you refer to also, is it not? I go on to explain that the various statements made in the press release, which they claim are in the Report, are actually in a “summary” of the Report which tells lies about the actual contents of the Report. Your question “What possible explanation could there be…” has the answer: the reviewer, far too trusting of scoundrels, believed NOAA’s misrepresentation of its own document.